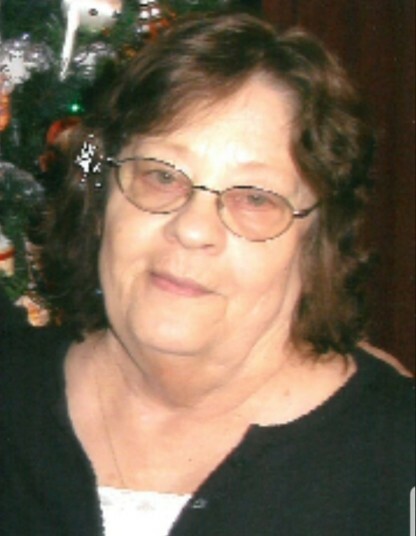 Opal L. Schaefer, 78, of Saint Marys, died suddenly at 7:29 P.M. Monday, March 25, 2019, in the emergency department of Joint Township District Memorial Hospital, Saint Marys. She was born February 23, 1941, in Fonde, Kentucky, the daughter of Willie and Geneva (Orick) Davis. She married John H. Schaefer, Sr. on February 26, 1961, in Newport, Kentucky, and he survives at the residence. She is also survived by her children: Thomas (Anne) Schaefer of Saint Marys; John (Daphne) Schaefer, Jr. of Hilliard, Ohio; Deborah Carnes of Saint Marys; Kenneth (Deborah) Schaefer of Findlay. She is survived by her grandchildren: Craig Schaefer; Katie (Tim) Bensman; Chelsea Schaefer; Marissa Schaefer; Jessica Schaefer; Carly Carnes Day; Cara Schaefer; Emily Schaefer. She is also survived by her great-grandchildren: Cayden Kohli; Jace Baker; Keylan Baker; Jenson Baker; Austi Ellis; Sophia Bensman; Mason Bensman; Lucy Bensman; Hadley Bensman. She is survived by her brother, Elmer (Peg) Davis of Saint Marys. She was preceded in death by her parents and by her siblings Brenda Wiss and Mike Davis. Opal was a housewife and had previously worked at Goodyear Saint Marys, and later served as a nurses’ aid at Roselawn Manor. She loved ancient history, with a focus on Egyptian history. She liked to play bingo, go to casinos and care for pets and animals. Most of all, she loved spending time with her children and grandchildren. Funeral rites will be held 7:00 P.M. Friday, March 29, 2019, at the Miller-Long and Folk Funeral Home, 314 West High Street, Saint Marys. Opal’s brother, Pastor Elmer Davis, will officiate. Private family burial rites will be held at Elm Grove Cemetery. Friends may call from 3:00-7:00 P.M. Friday at the funeral home, where memorial gifts may be given to SART.